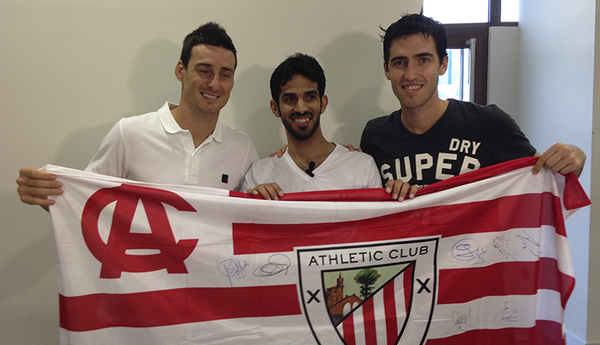 Saeed has been a devoted Athletic Bilbao fan for 11 years. Since 2003 he watched the club on television and even named his son Andoni, to honor the club's star full-back Andoni Iraola. This year the man from Saudi Arabia was able to visit his beloved club at their home stadium San Mamés for the very first time and the experience was full of emotions. As a sign of respect the supporters, media and the club greeted Saeed in a fashion only seen in movies, or perhaps in real life, but very rarely. Watch Saeed's story, one that many football fans around the world can relate to.